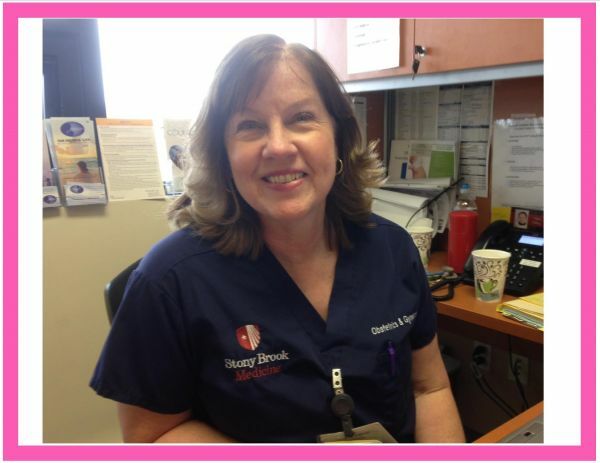 MomsPumpHere.com works closely with Stony Brook Midwifery Practice at Stony Brook University Hospital and one of our dearest friends is Pam Koch CNM. She has been chosen for Brookhaven's 29th Annual Women's Recognition Awards (also known as Woman of the Year). She will receive her award and be honored at Brookhaven's Town Auditorium on Thursday, March 19th. I first met Pam when I was pregnant and receiving obstetric care with the Midwives. I knew her from the Practice and seeing her for several checkups, but we have a special connection because she is the midwife who delivered my youngest son in 2012. She was calm, supportive, and encouraging during my labor and she helped me every step of the way. She even helped us decide on his name! When MomsPumpHere.com was founded, Pam was a champion for us and offered her encouragement and support. We frequently speak at her Stony Brook Breastfeeding Support Group and we help promote each other's causes. She is a dear friend of MomsPumpHere. Congratulations to Pam on her very well-deserved honor next week! Yes, Virginia, There Are Breastfeeding Laws!